Occasional Table: Side Table: Accent Table: Two Highly Figured Book Matched Boards Provide The Ventral Theme Of The Occasional Table. Between The Two Book Matched Boards A Recessed Cherry Spline Provides Strength As Well As The Attachment Points For The Stainless Steel Aircraft Cable Used To Attach The Top To The Bottom Of The Piece. 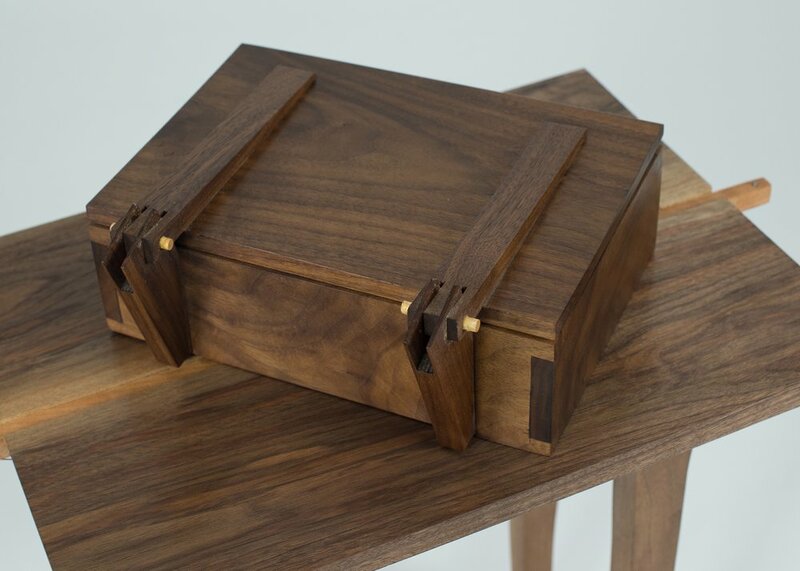 The Legs Are Constructed Using Traditional Mortise And Tenon Joinery. Two highly figured book matched boards provide the central theme of the Occasional Table. 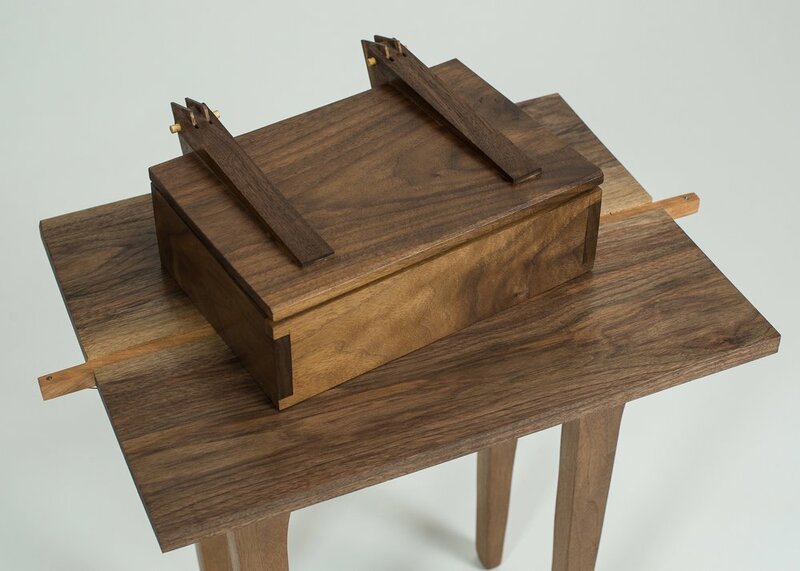 Between the two book matched boards a recessed cherry spline provides strength as well as the attachment points for the stainless steel aircraft cable used to attach the top to the bottom of the piece. 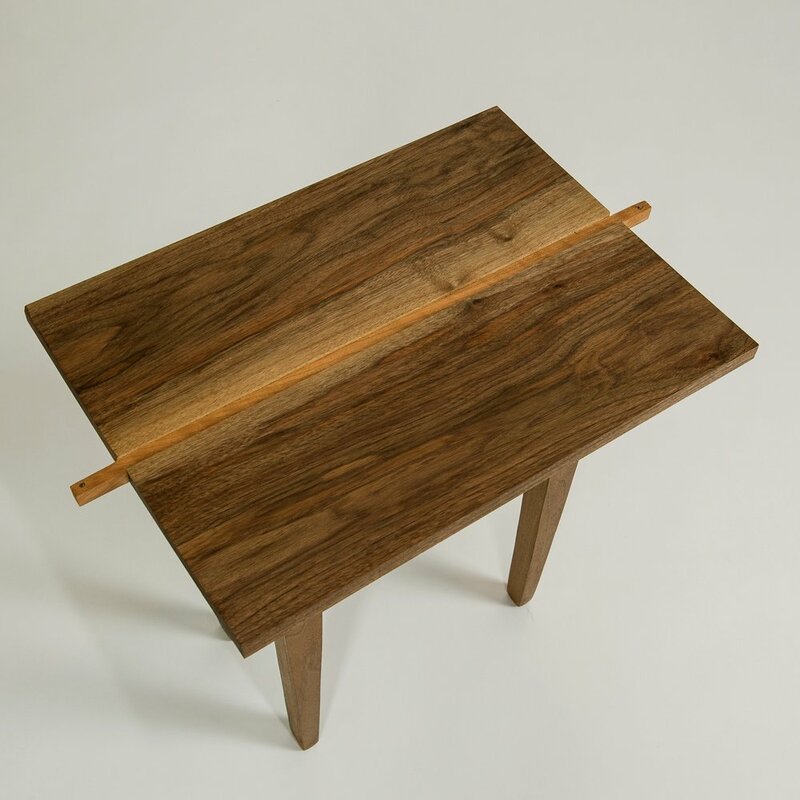 The legs are constructed using traditional mortise and tenon joinery.